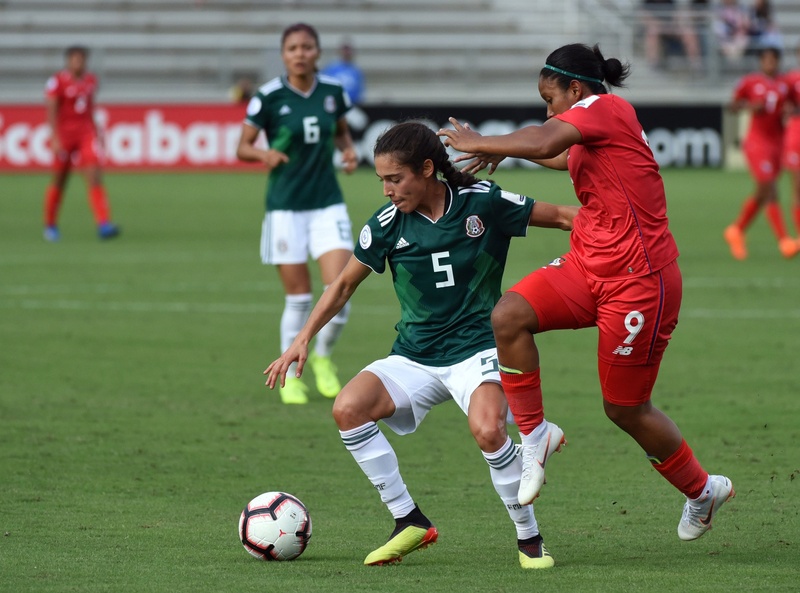 In its current state, El Tri Femenil is failing. There is no progress forward. Another major event. Another failure for El Tri Femenil. When the FIFA Women’s World Cup rolls around next summer in France, the women of Mexico’s national soccer team will not be there. A 2-0 loss to Panama on Wednesday night meant Mexico was eliminated in CONCACAF World Cup qualifying. In 2016, I watched as their hopes of an Olympic trip rolled away. I remember being sad, but I began to learn what an uphill battle they had been dealing with. It’s no secret that the women’s team has been oft-ignored by the Mexican Federation. Mexico is (still) and always has been a machismo culture. Women, girls playing sports? Definitely not a rich history. Back then, I joined many others who called for a vision change. Then manager Leonardo Cuellar had been in charge since 1998 and while Mexico had a team, they were left “watching the rest of the region (and world) catch up” (me in 2016). Exit Cuellar and enter Roberto Medina. One small change, but what about within the federation? Terrazas and the ladies of the Mexican Soccer Show discussed the loss, the failure and the entire outlook for the Mexican team after the game. They provide much more detail and insight than me into not only this team, but how it relates (or doesn’t) to Liga MX Femenil, and bring up the fact that El Tri Femenil’s American-born players of Mexican descent are not allowed to league in Mexico’s domestic league. In any relationship, there needs to be a communication of expectations. What should we expect from the women’s team? Should we expect victories, appearances in every major soccer event, growth or simply a respectable showing? The men’s team, until recently, goes through managers quicker than I go through homemade tortillas. You can’t have just one homemade tortilla. When you’re finished with one, you grab the next one. Why does Mexico go through managers so often? Because the expectation to win is there. They have great male players, the country, its fans, the federation expect victories. It’s ingrained in the culture. Since women playing sports isn’t, by and large, part of the culture, is it any wonder that there are either no or very little expectations for this team? What about those in the U.S.? Are Mexican National Team fans equally supportive of the women as they are the men? Where are their expectations? Este proceso nunca ha sido sobre una persona. Esta proceso ha sido sobre el futbol femenino en Mexico. Eso es mas grande que nosotras. Quiero agradecer a todas la personas que nos apoyan. Voy a hacer lo que pueda para ayudar a que siga creciendo futbol femenino en Mexico. That should be the expectation…along with winning-performing well. That should be the expectation of every Mexican fan. Not just female, but males too. The U-20’s didn’t get out of the group phase at the 2018 World Cup in August. The U-17’s kick off next month in Uruguay in a group with Brazil, South Africa and Japan. And, Liga MX Femenil is only in its second year. The league, although not without its own issues, needs time to grow. It needs time to connect with the current Mexican National Team fanbase. It needs time to identify the talented female players in Mexico that are just waiting to be discovered. It needs time to give the next generation a chance. Waiting for the next generation. Will the Mexican Federation give the next generation more resources and an actual fresh vision for the future? Will Mexican fans wait for the next generation of players to prove themselves BEFORE supporting the team more?